Way back in the day, before motor vehicles became the primary source of transportation in America, Europe, and so forth, people used to travel from place to place via horse and buggy. Often, the horse would have a blinder on, to prevent them from spooking on the road. With such an object obstructing their vision, they were required to put their faith in the driver so that they might know where to go. It wasn’t that the device was cruel; it just made the driving simpler and easier. Living in a society such as ours can present blinders of the metaphorical sense. Your gender, economic background, race, age, disability or lackthereof, and so forth will change your perspectives on any given topic. You can watch the Middle Ground videos on Youtube (posted by Jubilee), and see how specific backgrounds can make people really vehement about what their point of view on a controversial topic is. Unlike with the horse & buggies, these societal blinders aren’t really something that we can rid ourselves completely of. One can hope that such blinders would make them more open-minded, chipping away at whatever past experience now blocks our view. But I, as a woman, will probably always be more willing to listen to a woman’s argument about a woman’s issue than I would be with a man’s argument. It is a blinder, of a sort, because being a woman doesn’t guarantee knowledge about all things womanly. In this day and age, as I spoke about in last month’s blog post, our views are easily shaped by what we see online, and what we see online is even more easily shaped by our views. We might find something really poignantly put on social media, and find ourselves agreeing with it, saving it, using it in our arguments. Let me ask you this, though: when was the last time you saw something on Twitter or on Pinterest or on Tumblr that changed your mind about something? When was the last time you thought X until a post online made you realize Y was more logical, or, at the very least, made more sense to you? It’s happened to me only once. It’s been argued by philosophers much more brilliant than I (i.e. John Stuart Mill) that we should not censor any words, because if someone is speaking truth, it’s wrong to stop that truth from being heard. And if they’re speaking lies, it gives others the chance to refute those lies in the form of truths. That’s what is so great and terrible about social media: everyone has a chance to make their voices heard. Everyone can speak, whether it is truth or lies, and everyone else can see it and respond. But there are so many people speaking that it’s hard to hear any one voice without a filter. 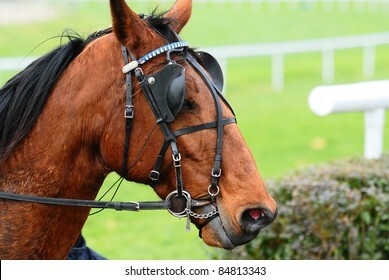 That filter is like the blinder that keeps the horse from spooking at a sudden noise, but it also prevents the horse from knowing if the path it walks down is a trustworthy one or not, because the horse can only trust the one leading it. So. What can we do about it? Recognize the difference between an educated opinion and a mere opinion. As I’ve heard in my Logic class on more than one occasion: you wouldn’t consult your plumber about a health concern, or your doctor about a leaky faucet. Next, never stop reading. Never assume that you know all there is to know about any given topic, because chances are, you don’t. And, as always, one of the best things you can do is to always keep your mind open. Those blinders might remain, but perhaps they become smaller or more translucent with every single fact you add to your arsenal. You can’t gather facts if you’re only taking in half of the story or gathering half of the evidence.